Erika Stenlund, born 1979, works since 2005 as a freelance photographer based in Stockholm. Her assignments are both editorial and commercial for newspapers, magazines, companies and organizations. 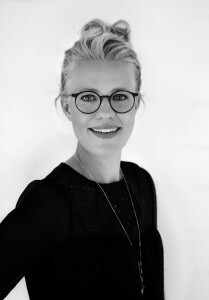 Since 2010 she is the editor of Nätsmart, a magazine on e-commerce and she is contracted by Scanpix Bildhuset. ”During my first three years, I grew up in Burundi in Central Africa. The interest in the outside world in general and Africa in particular came naturally with parents working with aid organisations. Studies in art history and photography continued in parallel with that I at the age of 18 started my own businesses and began freelancing as an illustrator and photographer. In year 2000 I worked in Kigali, Rwanda as a volunteer for 6 months. I documented various aid projects and taught women in practical chores. When the first program at the Miduniversity in photojournalism started in Sundsvall 2002, I was one of the first students.